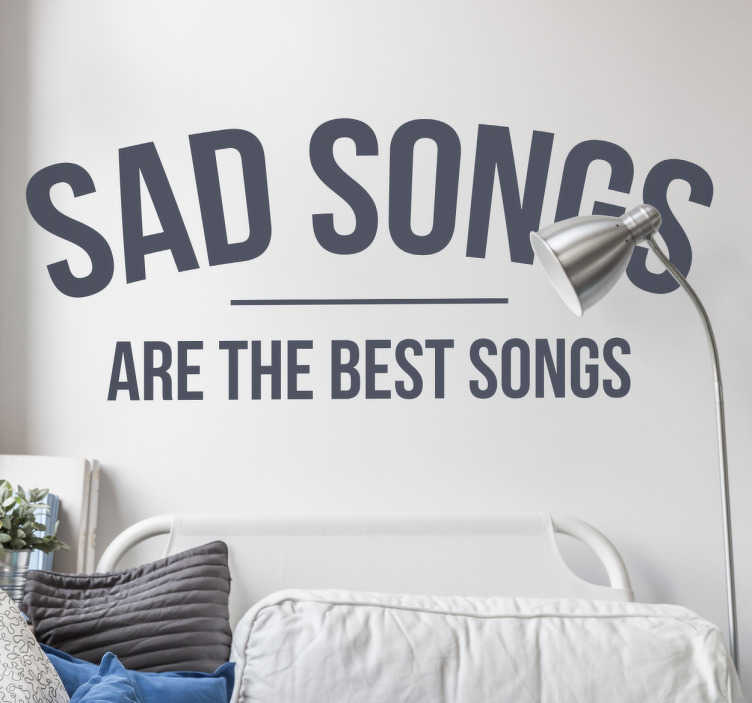 Wall Sticker printed with the message Sad Songs Are The Best Songs. A nice music sticker for all of us who love sad songs. Not everyone loves pop songs, whether it's the Blues, country, metal or classical music, sad music is often the best form of music. A removable wall sticker, ideal for the bedroom, living room or school. The wall sticker is available in a variety of sizes and colours.